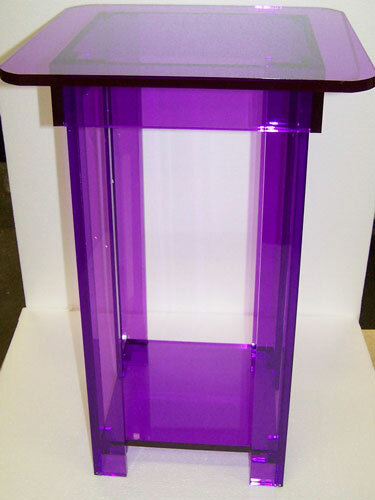 *Starting Price for the water tables refers to the 24" H water table in any acrylic color. Clear water tables are all clear acrylic. Smoked water tables are all smoked acrylic. Glass color water tables are all green tinted acrylic. Blue water tables are all blue acrylic. Red water tables are all red acrylic. Purple water tables are all purple acrylic. 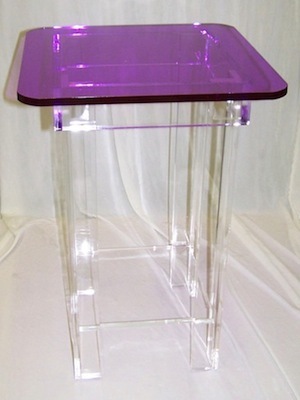 Clear - Purple water tables have clear legs and ribbon with a purple top. 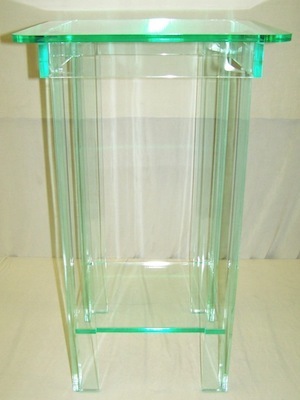 **Clear water tables can be customized with different color ribbons of your choice. 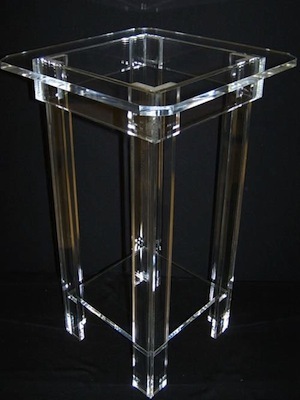 Our water / plant stands are perfect for churches. 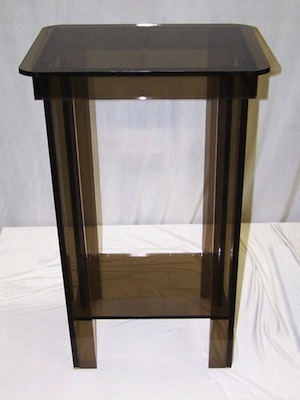 Width Options : 16" x 16"
Height : 24", 30", 36"